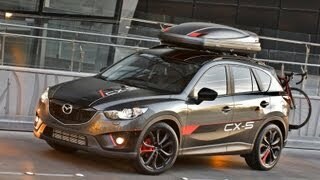 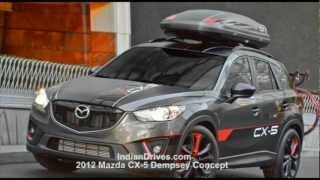 Mazda has unveiled the 2012 Mazda CX-5 Dempsey Concept at the 2012 SEMA Motor Show in Las Vegas. 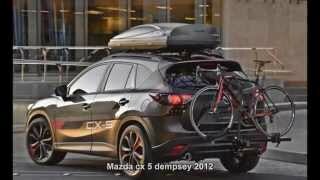 The CX-5 Dempsey not only features actor and race car driver Patrick Dempsey's name but it was developed with his competitive passions in mind – motorsports and cycling. 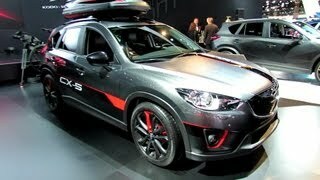 Under the hood is a European-specification SKYACTIV-D 2.2-liter clean diesel engine to power the all-wheel-drive system. 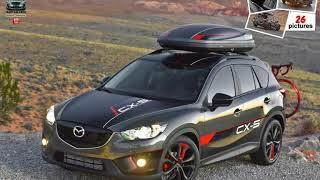 The high-power clean diesel offers a low 14:1 compression ratio with an output of 129 kW at 4,500 rpm and 420 nM of torque at 2,000 rpm.